Go Orange. Three of the best Intense Colour Lipsticks. Yes it is May. Yes the weather is still horrendous and yes, we are well and truly bored, depressed and thoroughly hacked off with this state of affairs. Welcome to living in the UK, peeps. Just as we should be grabbing our flip-flops and stressing about pedicures and leg waxes, we’re still trying to shoehorn in a little bit of light relief to make-believe that May is almost Summer after all. What good is a late Spring spray-tan if you have to cover it up with layers of clothing to fight arctic winds? To inject some brightness, I suggest you look no further than a slick of vivid orange lipstick. With pale eyes and some lightly highlighted cheeks, the flash of orange is an instant mood enhancer. If you’re bold and want to go all out, you can match with some dayglo pink accessories. Or, grab a pair of hot neon coloured stilettos, roll back the cuffs on your jeans and you already have a key Summer look. Sound simple enough? Here’s three of the best bright orange shades. All give a rich matte texture finish and look as great in the urban sprawl of city as on a beach. Double the incentive to try them out. I’ve totally fallen in love the Clinique Chubby Stick Intense Moisturising lipsticks (£16). What’s not to love about their chunky shape, their glide soft slickness and their intense colour that has all the benefits of a moisturising lip balm with a rich list of butters, oils and antioxidant ingredients? The ‘Heftiest Hibiscus’ is a delicious pow of orange and stays true on the lips. 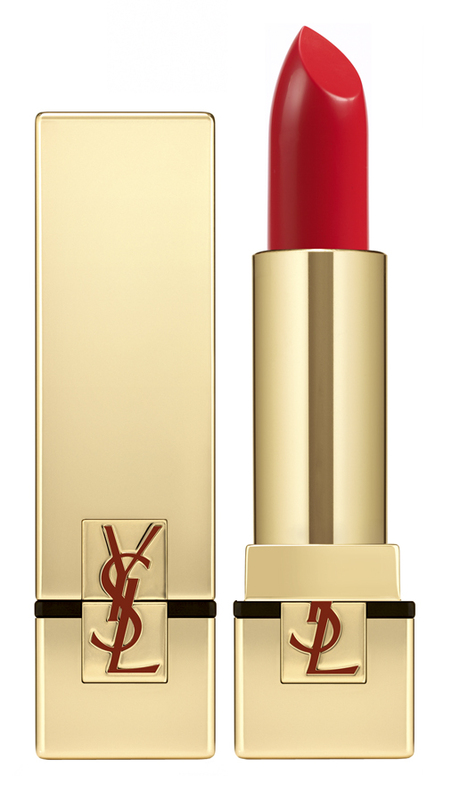 Both powerfully colour intense and smooth as silk, it packs a delicious punch. The sophisticated choice for a flash of colour with the all-knowing wink of superiority comes via Mr Ford’s range of Tom Ford Lipsticks. The ultimate accessory, the slick boxy black & gold packaging speaks bundles about the wearer and her expensive taste for fine accoutrements of quality and distinction. 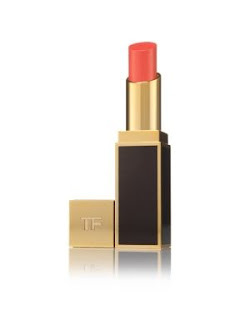 A light yet intense, creamy matte orange, Tom Ford’s ‘True Coral’ (£36) smacks of ’70s disco sophistication merged with 21st Century attitude. The texture is creamy matte yet not sticky (moisturised as it is with murumuru butter) with a hint of sheeny gloss. This is an all skin tones look good, feel better lipstick, equally as good on pale and olive skin tones. The third of our trio of the best oranges comes via an all time favourite who always manages to offer the deepest colour – YSL. Simply called Le Orange, this Rouge Pur Couture shade (£25) is every bit as sharp and to the point. This glistens with vivacious orangey vibrancy. This is the choice to shake things up a bit – the intense bright orange for those who love intense bright reds. The fact that there’s also something magical about the snap and glide of the YSL gilt packaging in its square casing with scarlet YSL branding makes is just-so. I don’t think an SLP logo would ever have quite the same kudos so think on, Hedi Slimane. 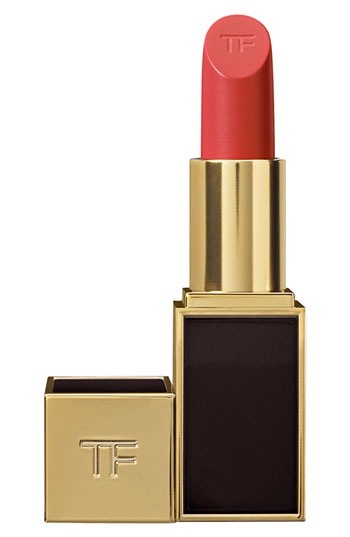 As a fourth option, for those unwilling to bask in a shocking all-out-orange glow, Tom Ford’s Lip Colour Shine range (£36) offers the palest hint of sheer orange. Called ‘Insidious’, this glistening baby allows a build up of colour and won’t scare the horses (or your boss). Personally, I like scaring horses. But then again, that’s me. Previous post: Versus by J.W Anderson launch signifies a Digital Shift. Next post: Chantal Thomass Pops Up at Fenwick. And we’re in for a treat.